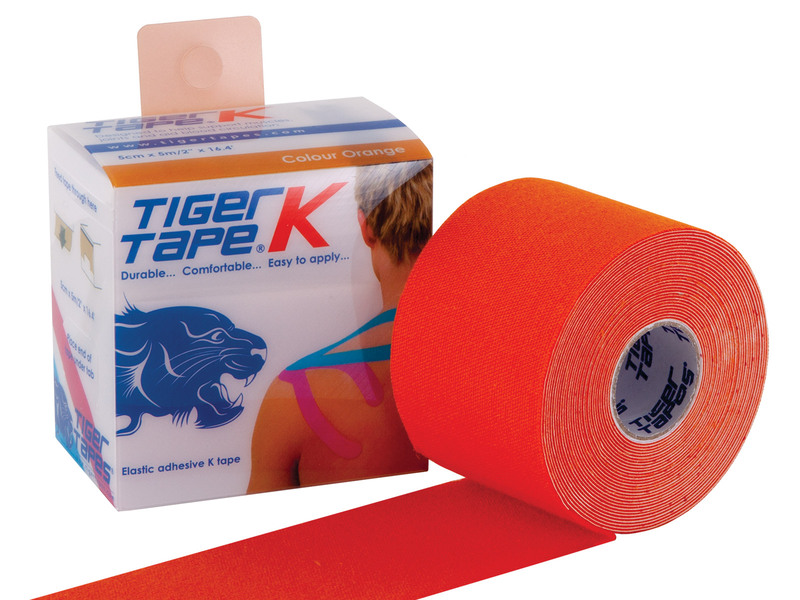 Tiger K Tape, now with improved adhesive for a longer lasting functional fit, has been designed with the athlete in mind. When niggles strike and you need light protection Tiger K feels right. It offers just enough support while being totally comfortable, so you move freely and focus on your performance. Supplied in an easy to dispense box. 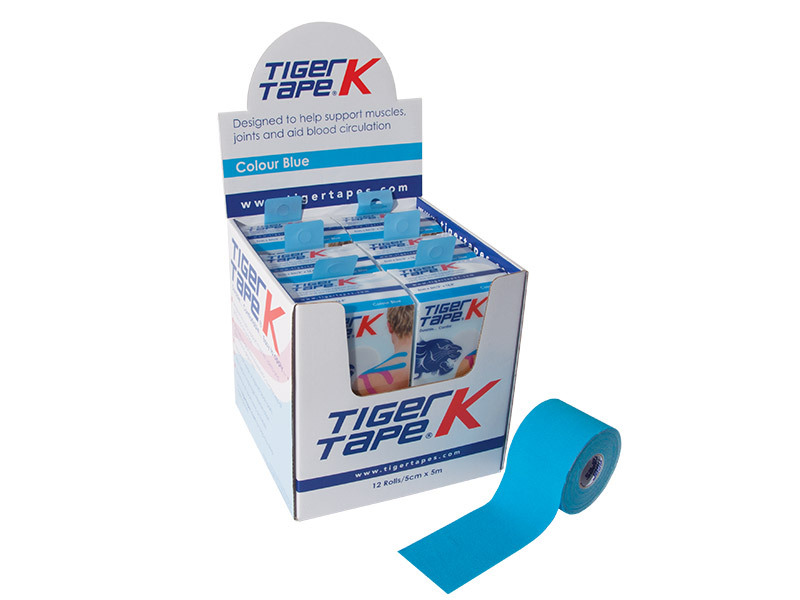 Ordered various K Tapes as usual very good products stay on longer than other tapes used in the past. 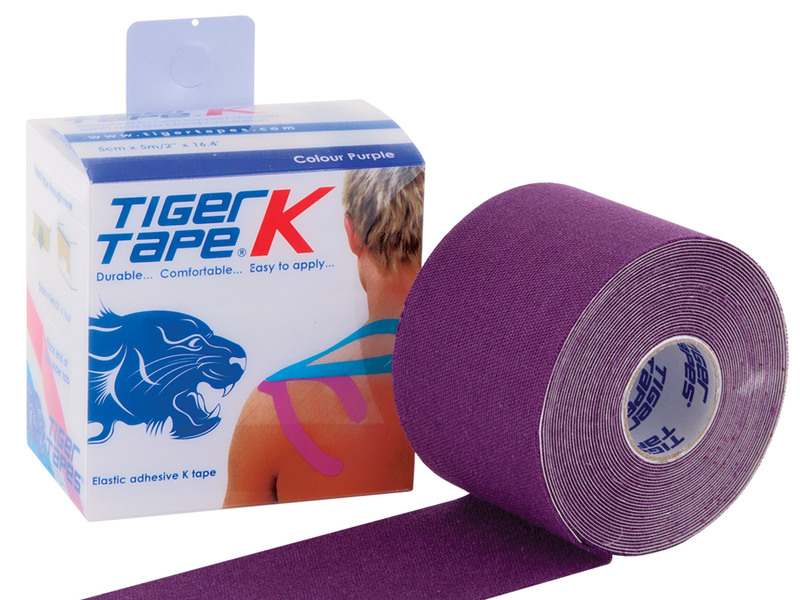 Great tape which sticks really well and stays stuck unlike other tapes I have used. Having used several makes now Tiger are the best as far as I'm concerned. 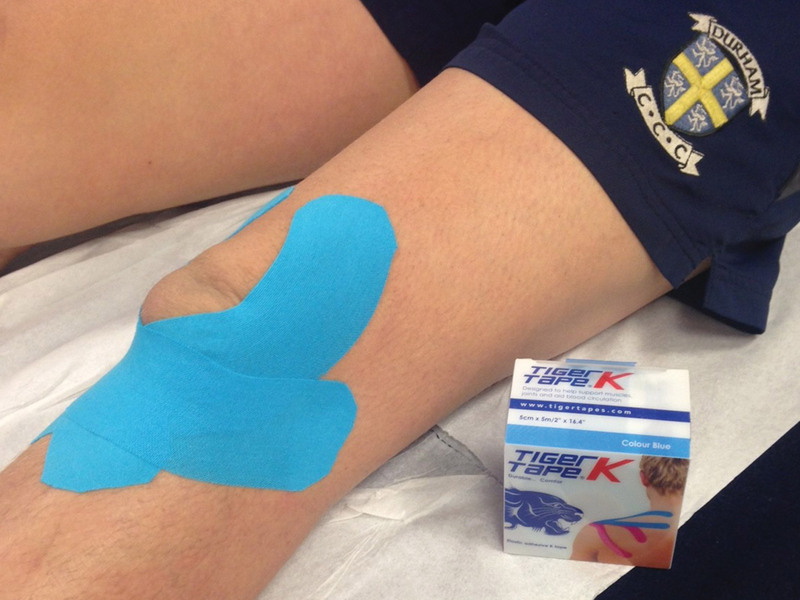 Comparable with more expensive KT tape & just as effective. Physique are prompt with their service & delivery. Excellent company to deal with! 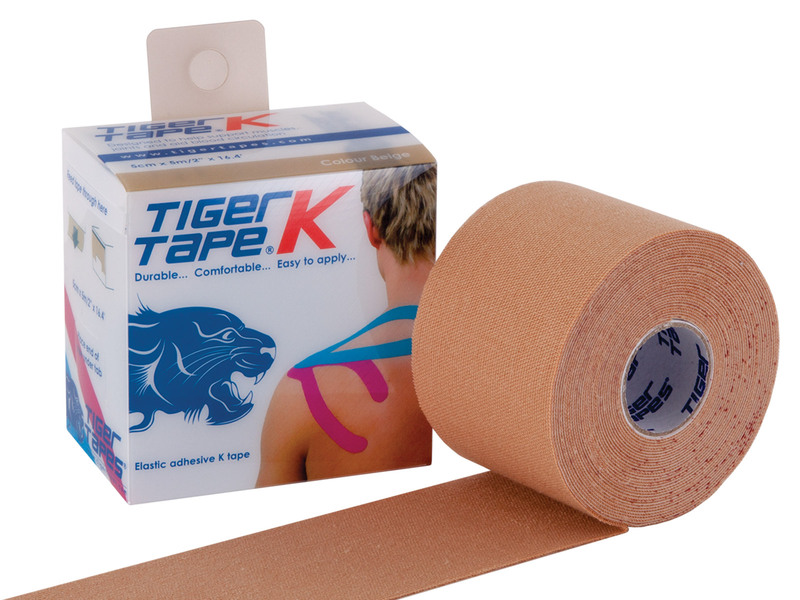 As a sport therapist I try and have tiger k tape in stock all the time. Over time I have tried lots of different tapes but always end up back with k tape. I love it and so do my clients. 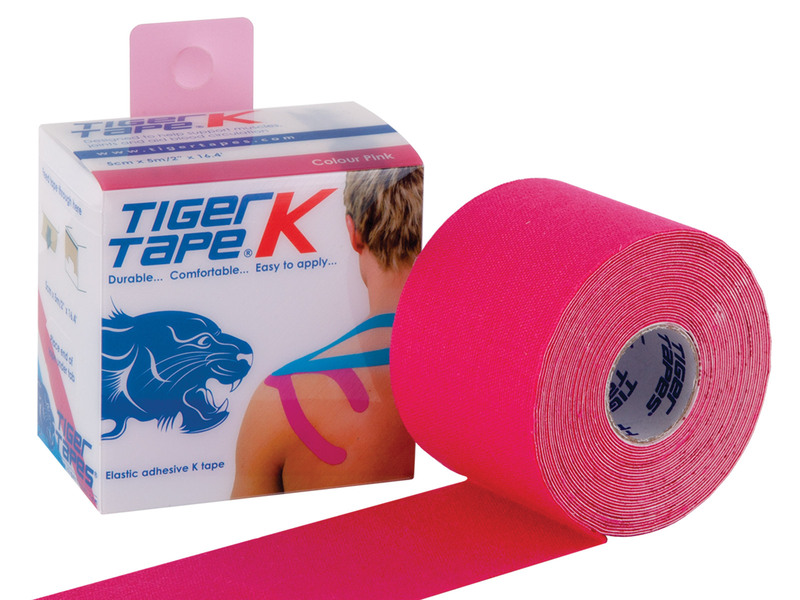 I am so impressed with the Tiger Tape as it stays on for a long time even after showers, baths etc. I am feeling the benefit already for my tennis elbow. Was given the green tape to try by my therapist and it was brilliant. From crippling pain that caused a marked limp I was able to start walking almost normally. 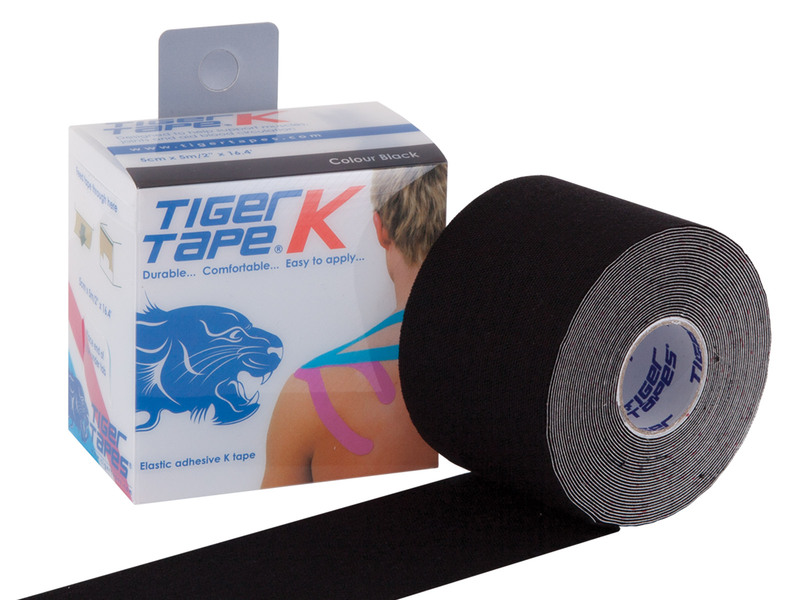 Therapist suggested I buy it online and go for the black tape as that is stronger so I immediately ordered it and am using it now. Highly recommend it. Thanks for your kind words and positive comments, but just to reassure you that the beige, pink, blue and black are all of equal strengths and quality. Thanks again. Beats kinesio gold hands down. Good adhesion and longevity. Strong adhesive. The best sports tape on the market. 100s of different K Tapes on websites these days. But this is by far the best within this price bracket. Sticks well, lasts long enough for its purpose.